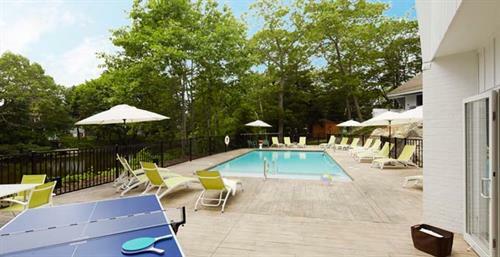 The Lodge on the Cove offers a modern and light-hearted approach to the quintessential relaxed Maine experience. 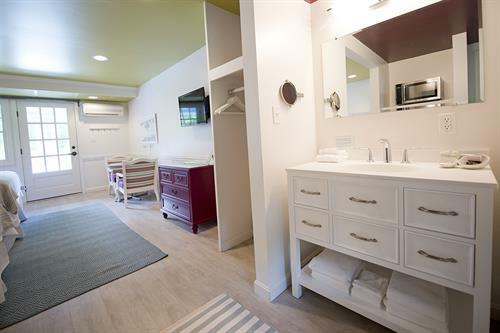 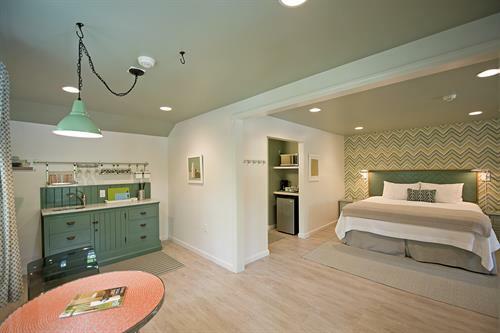 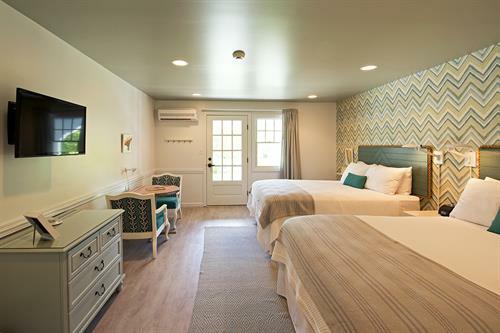 This newly furbished classic motor lodge is nestled on a wooded cove in Kennebunkport with a relaxed, yet refined, feel. 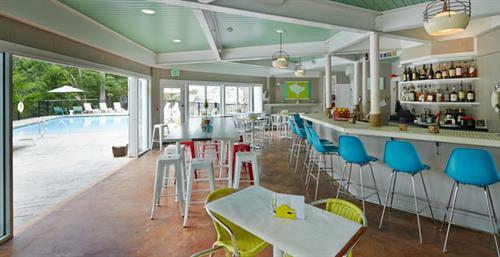 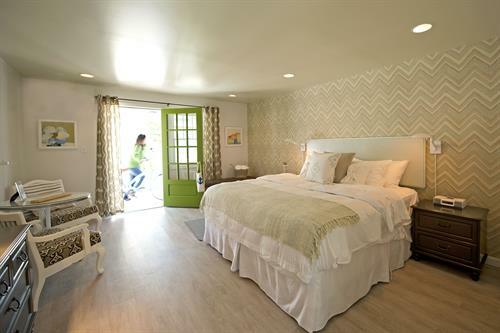 The Lodge offers a vibrant mix of vintage, classic and contemporary furnishings, bold patterns and an upbeat color palette. 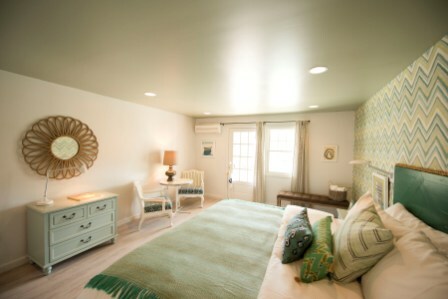 It is a combination of natural elements, nautically inspired accents and local art that together bring an organic and eclectic Maine vibe. 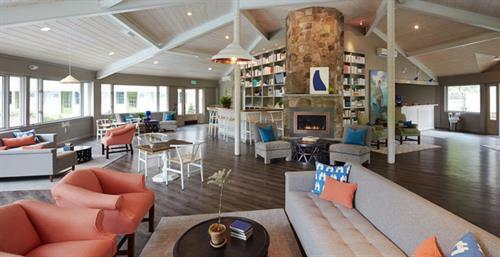 Welcoming and unassuming, The Lodge on the Cove is a happy place to visit, perfect for multi-generational travel, couples and young families.